Cecil Collins is a former running back for the Miami Dolphins. In the 1999 season, he rushed for 414 yards and scored two touchdowns. 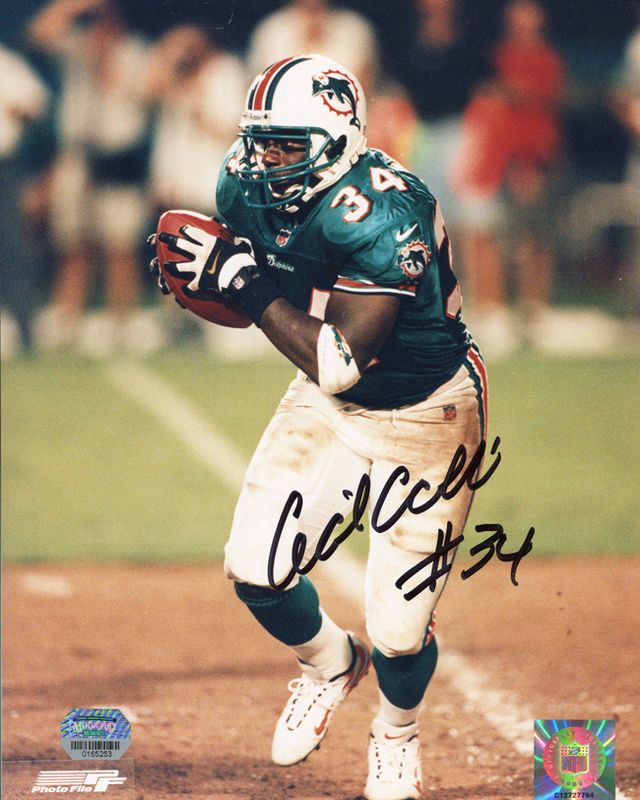 Cecil Collins personally hand signed this Miami Dolphins 8x10 photo. Each autographed photo includes authentication from TRISTAR.